A blend of natural ingredients formulated to address hormonal imbalances that causes acne and otherskin break-outs. This incredible formulation will help improve hormone related cases of acne within just three months. Vision Smart Center is proud to introduce its latest product, Acneron. Designed for Optimal Skin Care and Acne treatment through Natural Protection and Revitalization!! This incredible supplement will help improve hormone realated cases of ance within just two months!!!! 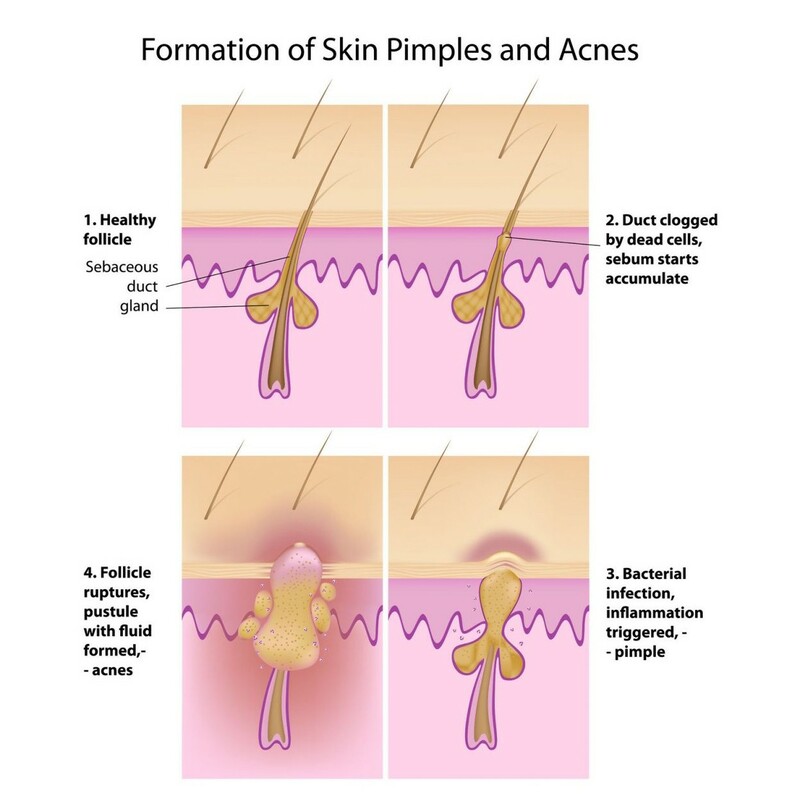 Acne is caused when the skins pores become clogged by dust, debris and sebum (which is the skins natural oil). Sebum then becomes trapped under the skin and accumulates. Bacteria can infect the sebum leading to raised inflamed spots and characteristic oily yellow pus (commonly called a pimple). Di-hydrotestosterone (DHT) is a natural hormone that signals body to create sebum. When this hormone becomes imbalanced, such as during puberty or PMS, excess sebum is made which clogs pores and leads to acne. Hormone Imbalance responsible for 60%-70% of all Acne Cases!!! (In both teens and Adults) Hormonal imbalances, such as changes in DHT amounts mentioned above, are the principle cause of acne in teens and adults (about 60% - 70% of all cases!). 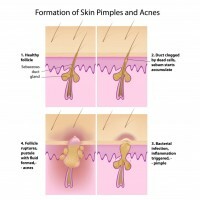 Unfortunately most anti-acne treatments, such as topical creams and wipes, focus only on treating the symptoms of acne. While these treatment types can be useful in the management of acne they fail to provide the long lasting and effective help! A Scientific Formulation synergistically improving your natural skin health from within. In about 3 of every 4 cases, Vision Smart Center has found Acneron has been able to clear up even the most severe cases of acne after just three months!! In case of those teenagers (from 11 to 20 years, usually teenage starts from 13 years old) who have mild and develop further pimples reaching about 80% of the US teenager’s population. Normal and mild acne condition happen among almost puberty continuing throughout the teen years. Teens are often exposed in various foods and beverages which contains frequently chemical additives and some of mimic hormones chemicals like BPA. Of course in general parents are helping to suggest how to keep the face clean, what cream to be used, what foods should not be taken and so on. 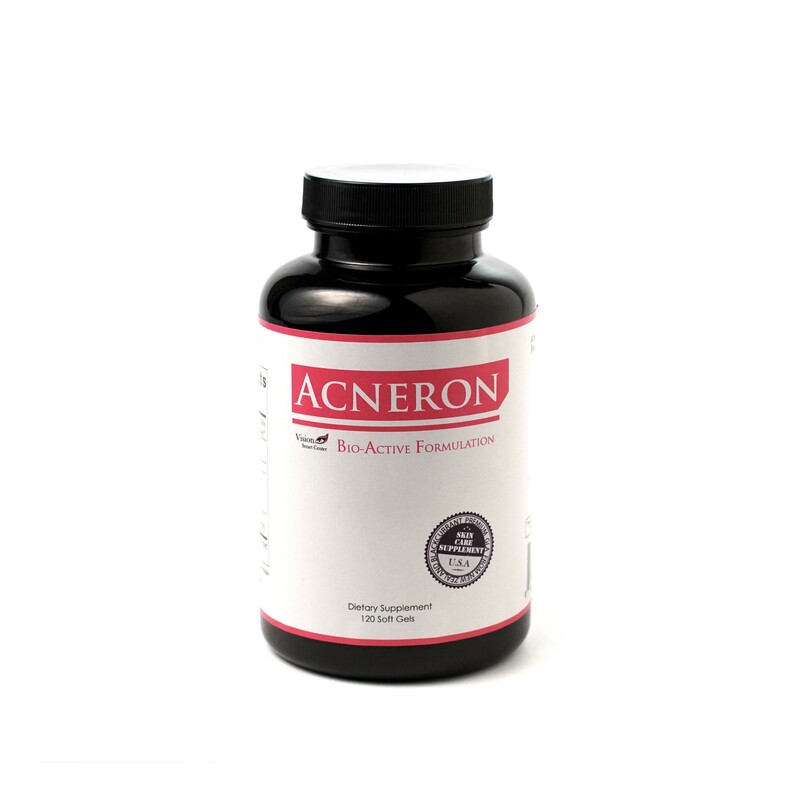 Acneron is made not only for adults but also for teens in order to have some of the potent important nutrition which may not be easily to be taken daily from foods and drinks taken through the supplement. Acneron supports to have your children being able to stay away from getting worse into bad pimples such as blackheads, whiteheads and the red, swollen, pus-filled lesions with acne vulgaris. Recommended to take: 1 to 2 soft gels per day. One soft gel per day under 13 years old. This information is for educational purposes only, and any advice regarding supplements is not intended to take the place of medical care. All recommendations are best discussed with your personal physician who oversees your children care. 1. Premium Quality of Raw Materials (Purity, Safety and potency) Vision Smart Center uses the world's most reputable ingredients suppliers and GMP certified manufacturing facilities for all ingredients and VSC Products. Our Operation Team scientifically selects and uses only premium quality ingredients that go into VSC supplements. Those ingredients are strictly selected not from cost but only from purity, potency, scientific research data..
2. Scientifically Supported Vision Smart Center uses ingredients and dosages that accurately replicate the most successful results obtained in scientific studies for maximum efficacy. Our Research Team assesses quality published clinical research for each ingredient and their health benefits. Each ingredient is then carefully selected by formulation experts and research specialists for their synergistic effectiveness. 3. Safely and Ethically Produced Vision Smart Center is in strict compliance with GMP standard for manufacturing, packaging and storage. Our Production Team has strict ethical guidelines: Ingredients and products must comply with environmental policies, be sustainably produced, environmentally friendly, and not to take advantage of any people. 4. VSC Product Guaranteed Vision Smart Center strictly implement the additional third party testing to confirm and ensure that products meet VSC’s high standards for purity, safety and efficacy. Acneron's advanced formulation: Each ingredient in Acneron has been specially selected by Vision Smart Centers world leading formulation experts for their unique and powerful effects that help the body naturally regulate healthy sebum production and, prevent the inflammation and long lasting scarring caused by acne! All ingredients used by VSC undergo strict third party testing to ensure quality, safety and effectiveness. Has been used throughout history by Native Americans and other indigenous groups as an antiseptic, anti-inflammatory and tonic to treat a range of medical conditions including acne. 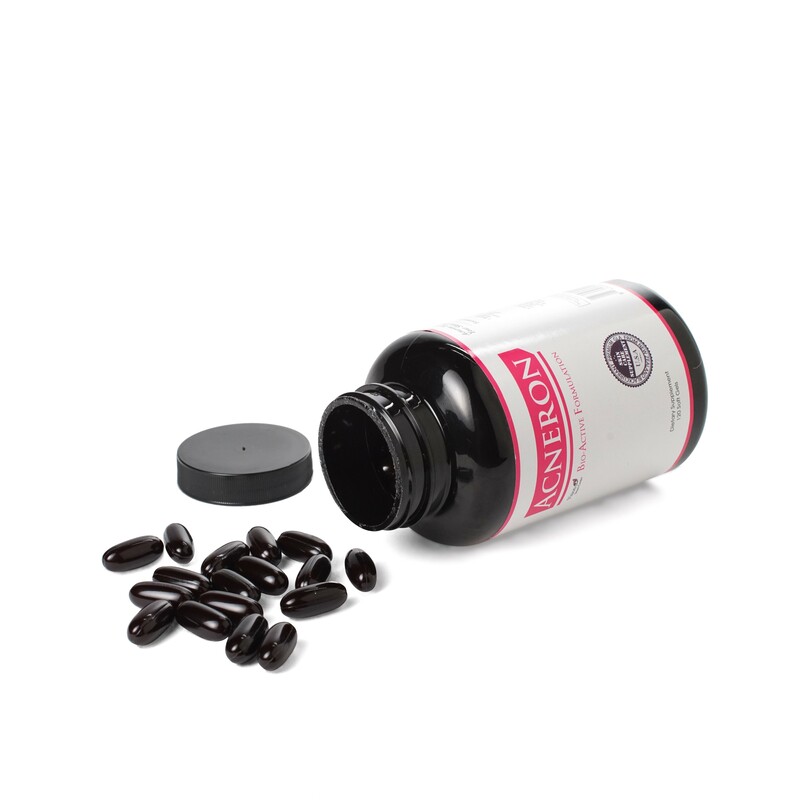 More recently, Saw Palmetto has been studied by various research institutions around the globe, highlighting the incredible health benefits already known to the native Americans! Saw palmetto extract is rich in healthy fatty acids, immune system boosters, and plant sterols. Each of which have powerful health promoting qualities. Saw Palmetto is also known to help naturally regulate the hormones responsible for sebum production (the skins natural oils). In doing so, Saw Palmetto may help prevent oil build up that causes acne! Blackcurrants Seed Oil contains a unique combination of rare Omega Oils including GLA. These high health compounds have been thoroughly studied by top research teams from around the world revealing incredible health benefits including many aspects related to skin health and acne. Specifically, the GLA in Blackcurrant Seed Oil can help regulate hormones, related to sebum production in the skin, that contribute to causing acne. It also provides powerful anti-inflammatory properties that support calm skin by helping prevent redness, swelling, pain and scarring caused by acne. Finally, Blackcurrant GLA is a natural humectant that may help the skin retain moisture. Blackcurrant anthocyanins are unique phytochemicals with incredible anti-oxidant strength (amongst the highest of any fruits!). This anti-oxidant power is able to protect the skin from damage caused by free radicals (a group of highly reactive compounds naturally formed in response to UV light, pollution and an unhealthy diet). Research has shown free radicals may be responsible for damaging cells leading to premature aging, causing various diseases and, could even play a role in making acne worse. Recently studies have shown taking anti-oxidants, like blackcurrant anthocyanins, has an association with smoother and healthier skin plus, may help treat bad cases of acne! Lycopene is a powerful carotenoid found naturally in tomatoes (it gives them their red color!). It has powerful anti-oxidant properties that, like blackcurrant anthocyanins, help protect our skin from the damaging (and aging) effects of free radicals. Acneron contains 110mg of the incredible Lycopene. To get this amount requres 0.75kg's of tomatoes! (or 50 of the tomatoes shown to the left) Studies have shown that Lycopene, in addition to helping prevent damage from free radical making acne worse, may help reduce certain hormones related to causing acne in the first place! Additionally, researchers in Germany recently identified a correlation between amounts of lycopene in the skin and skin roughness. Their findings indicated that higher levels of the anti-oxidants in the skin would effectively lead to lower levels of skin roughness! Zinc is a critical mineral involved in hundreds of the body's natural enzyme reactions including many aspects of immune health. This has made Zinc the number 1 recommended mineral supplement by healthcare professionals around the world!. Studies have shown that many acne suffers are deficient in zinc and taking supplemental zinc is able to improve their condition! The exact mechanism of how zinc helps remains unclear but it is believed it helps: Provide anti-bacterial protection Help reduce inflammation that causes acne lesions Support the natural Sebum production Additionally, the Zinc in Acneron may synergystically enhance the actity for each of theother active ingredients!! See the Remarkable Results in Just 2-3 Months!! Taking just 3 capsules of Acneron per day will support your skins optimal health! After only two months you will see amazing results and your hormone related acne improving. BUYERS BE AWARE!! 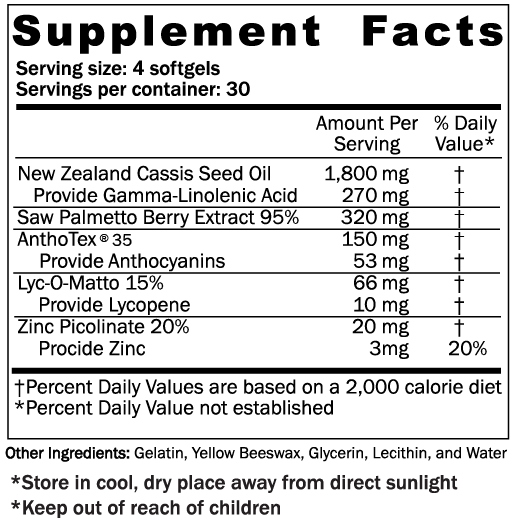 These softgels (capsules?) have strong smell + relatively large size... maybe difficult to use for some people. I got this for my child and wasn\'t expecting much for this product until I saw the result 2 months later! Wish there\'s a way I can upload pictures (if VSC is actually reading this review) to show the before and after. This product could be a hit or miss...it worked for my child. 1 star deduced because of the expensive price. I had NO Problem when I was teenager. I didn\'t have any skin problems at all until moved to CA for wok. Suddenly my face got so many acne. I was so shocked and it\'s getting worse. I know my life was completely changed. For example, food, water, friends, environment, and of cause stress level. I don\'t want to take any antibiotic medication. I had tried some vitamins and ointments but didn\'t work for me. When I found this product, I thought it\'s quiet expensive, however its made from 100% natural ingredient that was my prove decisive point. I purchased one bottle first. After keep taking in 3 weeks, I felt my red face was not bad like before. So, I decided to keep taking at least 3 month. 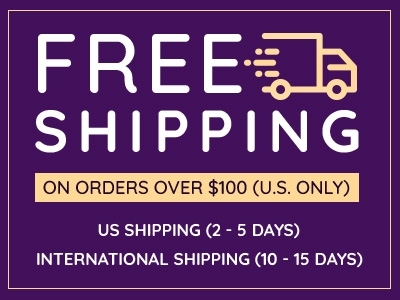 I\'m glad I met this product. Recommended use: For adult, take 2 soft gels twice daily, probably with foods. For teenager, 1 to 2 soft gels per day. 1 soft gel per day under 13 years old. Best result obtained with continuous use.